Whether you’re headed to a hot a spot like New York or trying to explore the food scene in your own city, sometimes it seems impossible to score restaurant reservations. 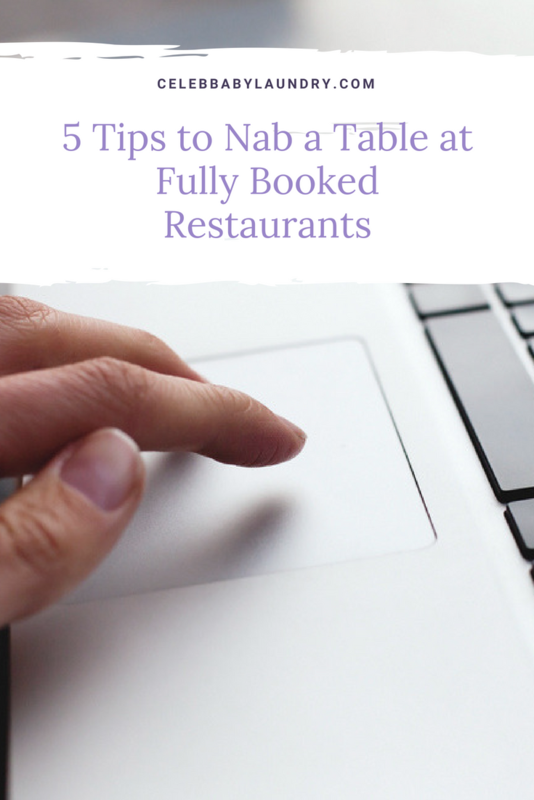 Luckily, these 5 tips to nab a table at fully booked restaurants are here to help! There are tons of sites and apps all offering reservations. If you fail at one app or site, try another. Sometimes, it pays off. I Know the Chef, OpenTable, and now Airbnb are all great places to start. Airbnb recently rolled out their option for scoring seats at restaurants in the effort to become your one-stop travel shop. The company partnered with Resy to offer spots at 650 restaurants in 16 different locations throughout America. If you’re staying at a hotel, contact the concierge as soon as possible to help you score those hot reservations. The concierge will also be able to help you get seats at sold out concerts and other events. That’s what they are there for, so take advantage of the service. Sign up for your must-try restaurant’s wait list for every night you’re in town. It’s a gamble, but it won’t hurt to try! Cancellations happen, but scoring those canceled spots can be tricky. Try calling the morning of the day you want reservations. Typically, staff calls to reconfirm previously made reservations in the A.M. and if they don’t get a confirmation, they’ll open the table. You could also take a bigger gamble and show up, nicely dressed, at the restaurant to scoop up any cancellations or no-shows on the spot. This doesn’t have the greatest success rate, but it happens. If you happen to have credit cards like an American Express or a J.P. Morgan Palladium Visa Signature for New York fans, you’ll have perks like VIP access to reservations already in your wallet. Call your card’s concierge service to see if your plastic can make it happen. Do you have a tip to score restaurant reservations at fully booked hot spots? Share your advice in the comment section below.